Please welcome my newest sponsor… Warm Sugar. 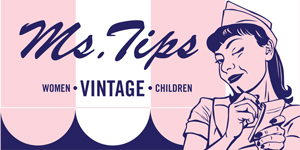 Warm Sugar may look familiar to some of you as it was formerly known as Project Grab Bag, but with a new shop name and focus, the creative genius behind it, Shannon, is dreaming up more fun new dolls. Her former shop was one of the first places that I came across on etsy a few years ago and absolutely loved everything she created and still do! In fact, I have a doll for myself sitting in my studio. That’s right. For me! The girls have their own and they are getting another for their love day gifts as every time they see her shop, they keep asking for another doll. A girl can never have too many dolls! In her lovely shop, she has all kinds of dolls, some perfect for little babies like my Soul and a plethora of other choices for boys and girls. Shannon also loves creating custom dolls, so you can pick colorings and help customize your doll for your little one (or yourself!). Each doll is unique and made of her own design, also comes numbered with its own name. 1. Your favorite Warm Sugar doll. 2. What you want for Valentine’s Day. The giveaway will end at 8am PST on Wednesday, February 10th and don’t forget to come back Thursday to this particular post as this is where the winner will be announced. Good Luck! Thank you so much Warm Sugar!!! OH my I love them all. But the pirate babies especially tickled my fancy :). And Valentine's day isn't so much about gifts at my house, as it is about those sweet little notes. I'm looking forward to a mailbox full of them from all my sisters and mom. for valentines day i just want to have some quality time with all my loved ones. there are some special people i really miss. the posy dolls are actually my favorite! but the pirate babies are super cute too. for Valentine's day, I simply want to have a sweet date with my husband. something simple, like hot cocoa, popcorn, and one of our favorite movies. I love the Fiona doll! SOOOO adorable! For Valentine's day, I would like to spend a whole day with my husband! We work opposite schedules and rarely see each other! A whole day to lounge around together would be lovely! I love love love the Adona doll! So cute with the braids, trousers, and sweet little shoes. And, for Valentine's day, I don't really care because it is my first non-single Valentine's day ever and will be special and memorable no matter what. (assuming Joel doesn't think celebrating it is tacky but I doubt he does!) I'd just like time with him. And maybe my first flowers. Devo and Summer are adorable! I love Simone! And for Valentine's, I just want a quiet dinner with my husband! She creates such sweet dolls I can hardly stand it. I would love to get one of the love fairies for my daughter. I hope this Valentine's day I get a new appliqued dish towel from Anthro. They make me feel so springy and I couldn't use a little spring right about now. oh my 5 year old daughter would just love one of those. fingers crossed! oh what a great giveaway!! I love Adona and Simone! What a great shop! Ohhh, how sweet these are. The Fiona doll would be perfect for my Esme, and I do love the boy Paxton doll! What I want for Valentines is a yummy brunch then go to the spa for a mani and pedi. As for Valentine's day, I would just like a hand-written card from my husband because he is good at those. I actually love the Posy, but the brown haired one, her outfit is adorable! A dinner away from the kiddos would be nice for Val. Day. for Valentines Day..I need a date night with my husband, more than anything. Oh, and a good nights sleep! a new simple wedding band! Gosh! They are all SO, so cute… but if I had to pick one I would say Simone. Her little striped leg warmers are too cute! what sweet dolls! i'm partial to the Miranda Doll, so cute with her braids. Paxton doll, for sure! Finally there are adorable boy dolls! A nice, relaxing date with my boyfriend is all my heart desires. I love Simone, but I think I have to go with Gwen for my final choice. Who could resist the swaddled sweetie. As for Valentine's Day…. 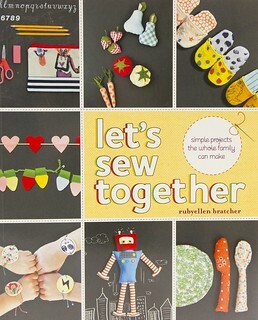 I want want to spend the day crafting gifts from the heart with and for my family. i always thought that you made those dolls for your girls, and now i am happy to know there is an etsy shop where i can get my own! i think my favorite is the love fairy. i just love the contrasting colors of pink and green she uses and the sweet little face! as for valentines day. more than getting presents, i am excited to make homemade red velvet cupcakes for my friends at law school. sometimes with all of this reading, life can be made sweeter by some delicious baked goods! and for Valentines Day I would love me some cupcakes– yum!! Hi, all of the dolls are very cute but if I have to pick ill pick the Miranda dolls and as for my V-day gift, I got it a litte early . Its a Family tree necklace by Lisa leonardi seen on your blog! Thanks ! I love the Miranda doll! A hug and kiss from daughter would be the best valentine gift! Ahh, I like the Paxton doll because I have a little boy, but the Posy doll would be great for the little one on the way. I am hoping for a day of love from my husband and baby boy for Valentines Day! I really like the summer doll, and I'd love some perfume for VDay!! actually, the black-haired posy doll was my favorite before even seeing this post. she's just so cute! one of my dearest friends recently just got her heart broken, so for valentine's day all I want for her is a bit of peace and the knowledge that she's loved more than she knows by her friends. I like Simone, she looks sassy. but sweet. For Valentine's day all that I always ask for is a handmade valentine from my husband. They are all just precious! I loved Gwen though. She was adorable. and for V-Day….I would really love one a HUGE stuffed animal. I think those are awesome! I really like Adona 🙂 I love her outfit! its reallyyy cute 🙂 and i like her braided hair ! i think her hair is pretty special, never thought of woolfelt being braided 😀 pretty cool. for Valentines dayy… i hope my youth kids would know more about Christ's love for them. My fave is Miranda – such beautiful dolls though. I would love to have one of those perched in my girls arms! I look forward to doing lots of Valentines activities with my family on Valentines day. Bela likes the Black haired Posy! I actually think the Posy dolls are my favorite! It's so hard to choose, though! oh my gosh. these are darling. love the simone doll. i'll i really want for valentines is a hand written love letter from my husband. nothing could be more perfect. i am so in love with these dolls! i can't stop looking at Simone and her gorgeous leg warmers. Wow they are all so cool. Though I have to say I love the Simone doll and her adorable stripped leg warmers. For Valentines Day I want to spend a solid two or three hours just hanging out with my sweetie. We've both been so busy lately that we really haven't had any time to talk and even just see each other. Dora! For sure. Love those little striped leggies. For valentines day, I want a good date with my sweetie, and some hanging out time with my sweet little gal. I really like Miranda. I really like the accessories they are wearing!! Since warm sugar makes shoes and scarves and hats for them, I have determined they should wear them all. If I win, I will keep it as a gift for the daughter I will have in future! As for Valentines, hubby and I spend alot of quality time together, but us being thousands of miles away from his grandparents in Australia is so difficult for them. My wish is that we would be able to see them and make them so happy! For Valentine's Day this year… I'd like to go to church, then simply to stay at home for the rest of the day enjoying being together as a family playing games and not worrying about being late for something, reminisce a bit about last Valentine's Day (which was super special for us), and have a hot, delicious dinner together, followed by some coconut cupcakes – my favorite! my favourite is the fairy girl doll!! she is just adorable and my little girl would love her. I love Simone and the love fairies. For Valentines Day I want some new workout tennis shoes, I start a boot camp this week! Thanks for the chance to win! These dolls are precious!!! Simone with her stripy legs, and those sweet little bear hats oh my. For Valentines, I would just love something handmade from my little ones. 1. I LOVE ALL OF 'EM! We never celebrate Valentine's Day 🙁 but if we did I would LOVE to go out to dinner at my favorite resturaunt! oh paxton is soo sweet!! what a talented lady,love them they are neat! valentines day doesnt much occur at our house but we have a 7 month old boy so a teeny sleep in or a cup of tea in bed would be just devine! I love Adona! She is cute and so trendy. What sweet dolls. 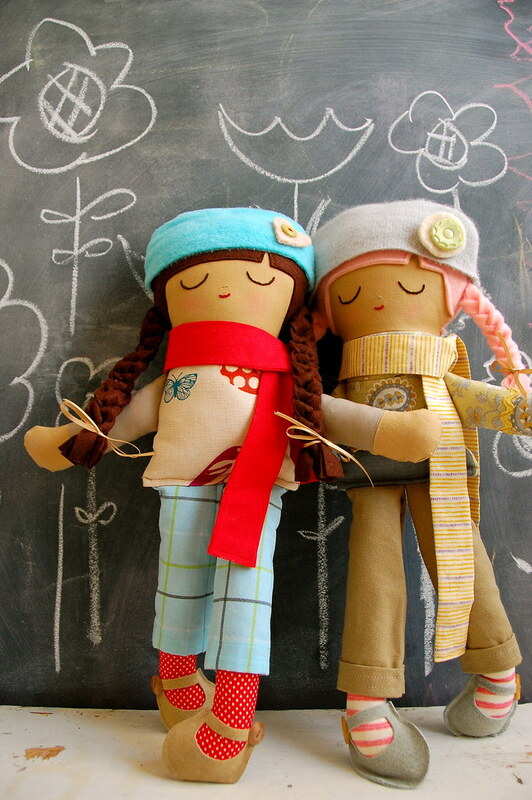 I heart the custom Posy dolls! I love adona's pants- to die for! I love the Summer doll – those bellbottoms are fantastic! Adona is my favorite, but I think that they are all adorable! I know that my daughter would love one. For Valentine's day I'm hoping for a new print from etsy…not sure what I want yet, but something cute to spruce up my craft space. I love Coco! Not least because it is my youngest baby love's middle name but also because her green, stripey socks just about kill me. All I want for Valentine's are my baby loves and main squeeze around me. i love coco, she is so cute! all i want for valentines day is what i already have, the love of my life!! I really like the paxton ones because they are for the boys & i do have a few of those around me. and for v-day, i would be so happy with a sweet note from my hubby. would love for my husband to cook me dinner for valentines day! i'm in love with Adona…trousers are so cute! for valentine day, I just want some more love! i think posy is my favorite! Wow. 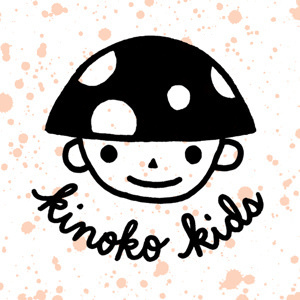 New Etsy fav shop! I heart Simone 🙂 She's the one who looks the most like me! What I want for Valentines? I would love simply just a date, since I'm without a boyfriend this year. Or chocolate. I'm pretty easy! Lol! My fave is Fiona and I'd love a box of mint chocolates for V-day! I love the rosy cheeks on the doll being given away, her legs remind me of a soft vintage map. For Valentines day, I'm looking forward to spending time with the people i love. My 24th birthday is February 10th, that's a good excuse for 4 days of loving beautiful play time. I really liked the colors used for Simone…she was darling! For Valentines Day I want my hubby to plan a night out! oooo I can't decide if I like the Miranda or CoCo doll the best. They are beautiful dolls, and will definitely be adding the shop to my favorites. All I want for Valentines Day, is the day spent with my family as hubby is jetting off to the Philippines the next day for a some mission work. I love so many of them – the pirate babies are too cute. Posy is adorable. And the bear hats are awesome. For valentines – just a big fat yummy breakfast with the whole family. I like Simone. Her rainbow legs are so cheerful! I asked my husband to make me dinner on Valentine's Day (which is also our wedding anniversary!). If we had unlimited resources, I'd have asked for some new camera lenses, though. I like the Paxton dolls, and the pirate ones, and gwen…oh I just love them all. For Valentine's day I'd love to get a sweet note from my husband. The spoken word is nice, but the written word can be saved and read over and over. for valentine's day, i'd like a nice fun family day!! SIMONE! she looks ready to take on the world…or a yoga class! I love all of the dolls- but especially the miranda one! And for valentine's day, well we're not big on that holiday but I would love some good news on the job front- just something to give me a glimmer of hope!! I love my perfect little custom love fairies Shannon made for my kiddos for Valentine's Day! Can't wait to get them. For Valentine's Day, I get a date with my husband. Which hasn't happened since our first was born. Bliss! I think Fiona is adorable….lovely shop…. I love all of her dolls and have wanted one for my daughter since the day i found out i was having a girl! What a wonderful valentine gift one would be for her! It' our first valentine's day as a family and I just want to have a loving, happy day together. All those babies are adorable! I really like Posey and Fiona, but all of them are lovely! My little girl would love one! They are all so cute, but I really like the Posy dolls! We don't do anything for Valentine's day, but I'm always a fan of chocolate! these are so adorable! i love the miranda dolls because of the detail on their hats and their sweet little braids. very lovely! 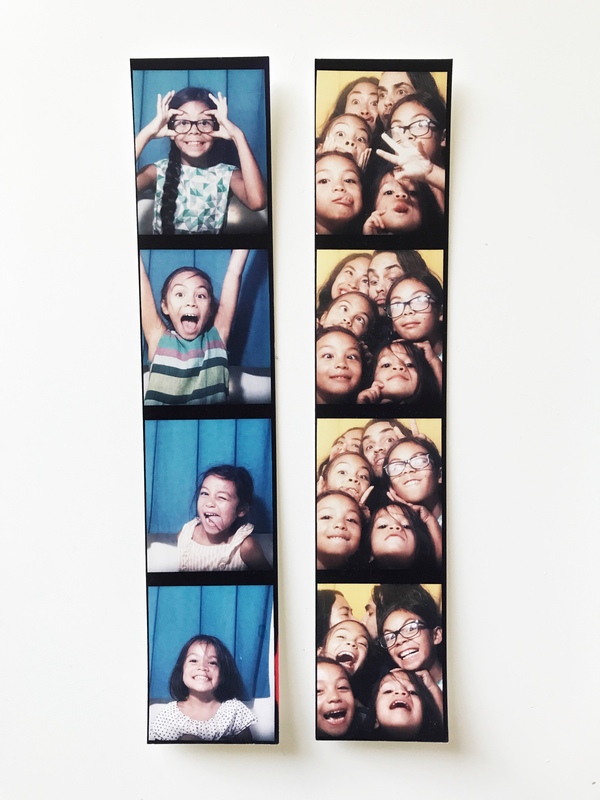 Oh my…They are all so adorable! I don't think I can just pick one…so I think my favorite would me a pirate for my baby girl and probably Coco for me ☺! I LOVEEE the pirate babies. They are so cute and creative :). For valentines day I wouldn't mind a boy. But since that won't happen, I'd love a pretty red dress! while I love all of her stuff, the boy dolls are super cute for me! I have a little man that loves his dolls too! And for v-day I am getting my wish, since it is also Chinese New Year we are going down to Chicago for a mini vacation and getting really yummy Dim-Sum! I would love some raw butter for Valentine's Day. We're happy because we eat butter. 1. I love the Simone doll. 1. The Coco doll is beautiful!! 2. For Valentine's Day, I'd love a valentine card from my niece or nephews! 1. the love fairy is absolutely adorable. i want her for me! 2. i'd like to have.. coffee gift card. lol. I love the Posy doll because she has some asian flair and I love that!! I think Simone might be my favorite, but so many of them are darling. A quiet night with my hubby, maybe with the kids going out early…too much to ask? all of the dolls are adorable, but everyone always wants a doll that resembles them, so I'll have to go with Adona. For Valentine's Day I'd love to have a back rub! My favorite is the girl Love Fairy doll, she reminds me of how magical love can be. All I want for Valentine's day this year is for my husband to come home from Afghanistan and be with me for this holiday since he missed Halloween, Thanksgiving, Christmas and New Year's. the Pirate Baby Custom Made are so cute!!! 1. Coco is super cute, I love her! I love the dolls! I'll be having a girl soon:) We need some girl stuff around here! My favorite one is Miranda. And for Valentines's day I would like to go on a date with my hubby! Ack pirate babies are so darn cute. I want one for my little boy – if little girls can never get enough dolls then that sentiment must apply to five month old boys and cuddly toys! As for V Day I would like a vintage floral tea cup with gilt edges. Then again, with a five month old a cup of tea drank while it's still hot is a luxury! paxton- please come to our family! My fave I didn't see in the shop-the one on the far left in the 2nd photo-soooo cute! a hippy at heart, I love Summer…she'd help remind me who I am 🙂 and of course I'd love to have her for Valentine's day! They are all so very adorable! Loving the pirates and coco! Valentines day…maybe one hour alone with my husband, the best husband and father I could ever dream of! The Posy dolls are FAR to cute! For Valentines Day, I want for us all (my husband, 3 kids and me) to be simply and sublimely happy. These dolls are so sweet and simple. I really love the baby pirate dolls…so creative. What a great giveaway! Thanks! Oh, and for Valentines, I would love a night alone with my husband…it's getting rare these days! 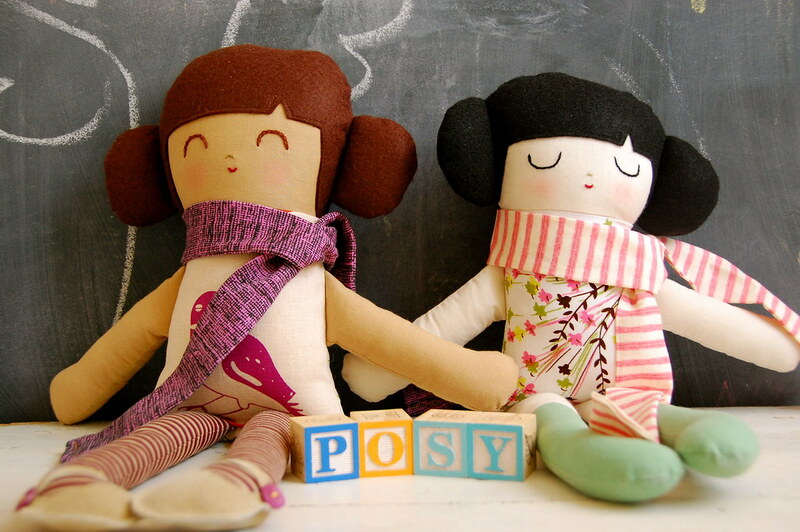 All the dolls are darling and beautifully handcrafted, but I know my little one would love Posy! For V-day, I'd love a family picnic in the park-simply enjoying each others company. ohh…i love the pirate babies dolls! How cute my little man would love one of those! My favorite doll is definitely Adona!!! She's is so sweet and charming. I love every detail about her, from the buttons on her pants to the bows in her braids, she is adorable! For Valentine's day, we try to stay away from the crowded overpriced restaurants and have a nice evening at home just with each other!! They are all so unique, but my favourite would have to be “Simone”. She's sweet and in need of a hug, perhaps the hugs could be from me!!! Valentine's Day this year is also New Year's for many people, a day to celebrate with loved one. Enjoy the day. My favourite is the Adona Doll. I love the striped stockings! What I would really love for valentines day id dinner cooked for me by my husband. And I am sure it is what I will get. He loves to cook. I am lucky! For Valentine's day I would like a night alone with my husband. This has not happened since October. Simone is my favorite. Fo Valentine's Day, I want a heart shaped pin cushion and macadamia nuts. simone is my favorite, but i forgot to mention my perfect present. i'd say a picnic at the park where we got married would be the perfect valentine's treat with my sweetie. i LOVE the love fairy girl… i would love to have her for my daughter! for v-day, i just want to spend quality time with the hubs. it's our first as parents, so reflecting on all of our blessings together would be perfect! Simone is my favourite and for Valentines Day I'd love to be able to see a movie just me and my man. I love the Pirate Babies– I think I'll have to order one for my little guy! For Valentine's Day, I'd really enjoy a simple, quiet dinner with my husband. We're expecting our second baby in a few weeks and I want to spend some time alone together before everything transforms with that wonderful burst of chaos that comes with a new baby. I would have to say my favorite is Adona. I was looking at the dolls and my son came up and said “mommy you should get that one because it looks like you and you need to have her”. I thought that was too cute. I just want my son to have a good valentines day. He's in kindergarten, he's excited to give out his cards that we made. 2. and I would love to spend the day with my husband for Valentine's but he will be out of the country on business. so, if I could ask for anything else that might be attainable I would like a little something special to wear from one of my favorite shops. I like the fairy girl best, but for Valentine's I want pretty Posy (and a big smooch from my husband)! Ok, thanks for the chance at a great posy! Okay, I love all of them, but if I had to pick I choose the Paxton doll. Although I love Simone too! As for Valentine's Day, I never think of wanting something cause it is my sister's birthday, so it has always kinda been her day. But I suppose that I would love to have a new lens for my camera that i got for Christmas. I also want a good tripod. i have to say i love paxton–we have so many girly dolls around here it would be nice to have a boy! for valentine's day, i would love to hear my little (3 month) old laugh. he's been cracking some big grins lately, but no giggles as of yet. Parker “Posy” is my absolute favorite. And for Valentine's Day, I would very much like to be whisked off my feet by Surprise and Romance. For Valentine's Day, I'd love to wake up to a room full of red balloons. i like the black-haired girl standing on the left in the second-to-last picture.. in her etsy photos she seems happy and confident and adventurous..
but then again, i also like the one that is being given a new home. she looks to be a sweet, quiet, imaginative friend. for valentine's day, i'd love to be in the arms of my boyfriend. he is german and is living an ocean away from me. i miss him so terribly. I love Fiona but also the black haired doll up for grabs! For V-Day, I just want a day with my family and some time alone with my hubby. All are very cute! Fiona and Posy's especially. I'd like to share the day of love with my family – that is all i want, well ok, how about some Chocolate too! 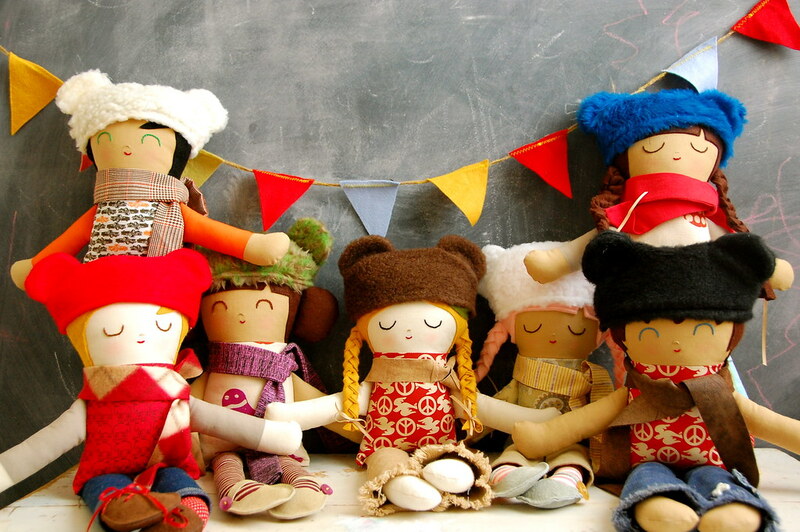 I am in love with the Soft Kokeshi Inspired dolls, they're just so adorable! looking forward to a sweet red & heart-y meal with my little honeys & (hopefully) some time with my husband too. all the dollies are lovely, but i especially love the posie and paxton dollies. for valentine's day i'd like for my first trimester nausea and naps to end. i'd really like to feel normal-ish again. Adona! Love the birdie, and the smart ensemble. I think I want that outfit for the baby, too. Also love the pirate babies. For Valentines, I want hugs, kisses, and a little time to ourselves. I think my favorite would have to be Paxton or Fuzzy Bear head! so cute. I'm not really a Valentines Day person, so I think that all I want is to have a relaxing day! I think Simone is my favorite. I love her felted leg warmers! For Valentine's day I'd like some quality time with my busy hubby and our baby that's on it's way. It's an exciting time in life and there is a lot of love to celebrate! The Miranda doll is my favorite! Their little shoes and outfits are perfection! All I want for V-day is a babysitter! I've got to get on it, so the Mr and I can have a night out, thanks! They are all so cute! If I had to pick one it would Gwen. For Valentine's Day…kisses from my sweet daughters and a little chocolate from my honey. Thank you both for the generous giveaway.Happy Valentine's Day!! the pirate babies really are just so cute! These dolls are adorable. My favorite is the pirate babies. And for Valentine's Day… I'd like some flowers, cherry blossoms are my favorite. all i really want for Valentine's day is some fresh flowers 🙂 i am not too hard to please. I love the Pink Love Fairy – becasue of the colors – the socks are amazing. For valentines day – I would love just to sit and do nothing and have my family dote on me. Wait – I need to show them love also…so maybe I will wait for mothers day for that. oh wait, i just noticed that there was a giveaway on here! fun, fun…i just bought the Tess doll…but here's hoping i get another one! I adore the CoCo doll. So very sweet. I am looking forward to handmade cards from my sweetheart and my little ones as well as a delicious, romantic dinner at home. I'm loving the free-spirited hippie, Summer! What I want for valentine's is a warm starlit summer night, a 'no-fuss' dinner on a fluffy rug with the two most important people in my life – my husband and my daughter…and maybe a display of fireworks just for us!!! I love Simone and CO CO. This will be my daughters first Valentines day and I am so excited! I love the pirate babies. I bought one of her dolls for my daughter for Christmas and it is the cutest thing ever. I would like chocolate cake for Valentine's Day. i love these dolls. and i really want one for each of my girls. i love posy, but i also love simones' leg warmers. and for valentines i would love time at a spa… or just an extra hug from my husband would do. but a great massage would be nice too. wink wink. My favorite is Adona for the color and the buttons. For Valentine's day I just want have some quality time with the two men of my life. I had my daughter, Stella, look and pick her favorite. After she said “me” “me” “me” to about every doll on the page I persuaded her to pick the Miranda doll as her favorite (just because I would say that is my favorite too). For Valentine's Day, I want to watch a great foreign film with my husband after our daughter goes to sleep. Probably a good samurai film- we both love those. We are always both so exhausted we never get to anymore. 1. So hard to pick, but probably Adona. 2. A good time celebrating love with my hubby, daughter and new son. I think Summer is best. I remember the hippy days. Some quiet times with my hubby on the 14th would be best. Especially if he makes me dinner. My favorite is the love fairy! I love CoCo. I think her shoes did it for me! For valentines day, I just want hugs and kisses from my hubby! they're all so sweet! i actually really love the doll being given away (: the details on all of her dolls are just amazing. and for vday…all i wish for is for our little baby to be born healthy and happy. shes due on the 24th! I think the love fairies are CUTE! For V-day, I'm hoping for a relaxing date night and deep conversation! My favorite doll is Adona -I knew as soon as I saw her! Just the NAME warm sugar makes me feel like smiling! I love all the dolls! Posy is adorable and would be LOVED in this house! TIME is all I want for Valentine's Day – family time to be home, be cozy and do NOTHING but share a lot of love! I am keeping my fingers crossed! Thanks! Oooo, I instantly fell in love with the black haired pirate baby with the red eye patch. For V day I desperately want a sewing machine. I love the Posy ones. Soooo sweet! I really want one for myself. Hi there, first i LOVE your blog, you inspire te take it easy. Im also a mum of 3 of littles under 5 and now that your new baba is here you know how hectic that can be! Anyway i have 2 boys and 1 baby girl and you would think i would pick a GIRL doll but actually i LOVE the pirate ones.. simply as they are just something so new and so creative. And Posy is also darling! WarmSugar is a great new discovery for me. My 20 month old is currently obsessed with putting a blanket over anything in sight and singing it to sleep. Something tells me she is ready for a lovely doll! I am spending Valentine's day I want to be with my hubby and baby in NYC's Chinatown celebrating Chinese New Year. Two holidays in one! Cakies is a drop of sunshine in my day. Thanks! I want an event planned by my husband for valentines day… a letter, a card, homemade dinner… something memorable but not too pricey! and valentines day is usually overshadowed by our wedding anniversary the day before….it's all lovelovelove around here for a couple of days! The “Love Fairy” is my favorite doll. Too cute! For Valentine's Day, I just want a nice piece of chocolate. I'm a big chocolate fan! I love them ALL!!!! But Adona is so adorable and sweet, all the details make it really special!!!! The pants and hat are so stylish!! I love it and Jimena too. For Valentine's day I would love a romantic date with my husband. Congrats for this Awesome Dolls!!!!!! 1)I love the Posy doll because she reminds me of my niece, Liv. 2)I want a necklace from Etsy that I have hinted heavily for…and to watch the Olympics. Amen. On Valentine's Day, all I want is some time with my husband. We like to have a quiet dinner at home. The Coco doll is just the cutest little doll I have ever seen! For Valentine's Day, I just asked my husband for a nice dinner. And time to soak in the tub. We have a new baby, so I'm trying to figure out how to make some time for myself. Our Valentine's Day plans are pretty simple. We're staying home with our girls. And we're making a nice dinner. I enjoy getting to spend time with our little family. It's the best gift! Oh the Gwen is so winsome and cute, it is my favorite! I live in Maryland, actually for Valentine's Day I am really hoping for the state to have been sufficiently cleared of snow that I can take my family out somewhere to combat the cabin fever! Fiona is my absolute favorite doll! She is adorable!!! For Valentine's Day, I want some chocolate covered strawberries. They're my favorite dessert! The only thing I want for Valentine's Day, is a call from my husband. He was recently deployed. And I already miss him so much!!! Adona is the most amazing little thing! She makes me happy just looking at her! I asked my husband for some crochet supplies for Valentine's day. I want to learn how to crochet. Coco is my favorite! Oh my goodness she is cute!!! My favorite doll is the Coco. She is just so cute. With all the detail. And pink! Too cute!!! I love the Fiona doll because my favorite color is purple! I'm getting some books for Valentines day and my birthday is a week after valentines day so my husband is taking me to Anthropologie,which is my favorite store! I am quite partial to Fiona, Miranda & Adona. The outfits are so adorable. For Valentine's Day I just want to spend quality time with my family, a snuggle with my hubby and lots of kisses from my little girl. I am in love with the black hair Posy doll. I'm expecting a baby girl this June and think she'll look as adorable as the Posy doll. All the girls in my family have been born with a head full of thick black beautiful hair. For Valentine's Day, I'm looking forward to a walk through the Arboretum and sharing a homemade Valentine's Day card and present with my husband BJ. Crossing my fingers for sunshine that weekend here in Seattle. I love Gwen… she is adorable and different to the other posy dolls… I can see her personality from the picture.. she belongs in a little girls room that is mellow and quiet… UNTIL Tea parties where she comes alive in all of the glory of metal vintage tea sets, pink shaggy rugs and some crumbly biscuits! For Valentines Day I would love some time with my husband… Just tiem to sit together and ask about our days… cuddle on the couch un interupted with a glass of wine! I love the Adona doll! So adorable! This is the first Valentine's day for us as a married couple so that's extra exciting. All I really want is cuddle time and a mushy card from him would be nice too. The Miranda doll is gorgeous! I love how she looks all warm and snuggly, especially in all this cold weather! For Vday, I'd like to recapture that “silly, carefree, head over heels, I'm in lurve” love my husband and I once shared! I particularly like the purple perfection of Fiona! For Valentines Day, I want a frilly, lacey valentine shaped box of Godiva Chocolates! I love Fiona. Her lavender colours and knitted hat are so cute. For Love day I would love some time out with hubby without the little ones screaming in the background! How ironic that my word ver. is bratism. I love the fuzzy bear hat dolls! For Valentine's day I would love to receive some lilies.